Eileen edited the book, ‘Surviving Columbine: How Faith Helps us Heal when Tragedy Strikes’ and was a champion of ResilientHope.org, a resource for those affected by trauma. When my sister Kathy and I walked into our high school on April 20, 1999, we didn’t know the transformational impact it would have on the entire world. The first school shooting to be broadcast live to a national audience, Columbine shattered our country’s sense of safety and innocence. How could two seniors gun down 12 of their classmates and a teacher? How did parents feel about sending their kids to school that day? Our mom Eileen was an anchor throughout our healing process. Her experience as a ‘Columbine kid parent’ was echoed by hundreds of others. Through a series of letters and emails (from May 1999 to April 2000), here is her story. May 15, 1999 – April 20, 1999 started out as typical as any other of our family’s days: sleep as late as one dares, get up and ready and off to work and school. I found out about the assault to Columbine about 12:05pm when my friend, Fran Jensen, a clinic aide at Deer Creek Middle School, where I teach, came and got me from my classroom. We had something going on with one of our students, and I thought it was an update from that. Fran insisted we not talk in the hall, but go to a conference room adjacent to my classroom. She and Pat, our school secretary, had been out, running an errand for the school, and getting something to eat, when they got caught in the emergency vehicle traffic at Wadsworth and Bowles. They thought to turn on the radio as their car turned east into Deer Creek, and caught a few minutes of the news. Fran told me there had been a shooting at Columbine, that three kids had been transported with IVs, suggesting they were going to make it and that there had been explosions. Of course my first thought was to wonder where Liz and Kathy were at, and if they were okay. My last class of the day had until 12:15pm before I dismissed them for lunch. They finished the activity they were involved in, I gave them reminders seventh graders always seem to need, and realizing that there would probably be a ‘lockdown’ told them that their lunch might be a little different from usual, but to be sure to pay attention to and mind whatever instructions the adults might have for them. After they were gone, I dropped to my knees to say a prayer, pleading for safety; however, the troubled feeling I had was not eased. I called Larry at work, but got his voicemail, so I left a message indicating there was trouble at Columbine, and I would be in touch as I knew more. When I got to the office, Mary, the computer guru, who has a daughter Kathy’s age at Columbine, shared that here kids had already called her, and let her know they were safe. Fran thought to call the Seminary. Whoever answered, called out to those in earshot, a question about ‘Carlston’ and said to me, “Yeah, somebody saw Liz running, she’s okay.” In the chaos, I accepted that as the best answer I could get. Some people came in and suggested I go up to the counseling office, and watch the coverage on TV, thinking it reassuring that the police response had been so extensive. I reasoned that the girls would get in their car and come home, so my best course and chance to comfort the girls would be to go home to receive them. After calling Larry’s number again, and checking out with the secretaries, I left. On the drive home, I listened to the news. At the time, they were advising parents to pick up their children at Leawood Elementary. It was surreal to look out toward the high school, and see three helicopters circling to the south and west of the school. I got home and found half a dozen messages already on the machine. One was from Linda, a friend from church, saying that her husband, with a cell phone, had been near the school, that Liz had approached him and asked him to have Linda call and let us know she was all right. I called Larry again, talking to his voicemail, and informed him about Liz, and that I was on my way to Leawood. I also let my school know where I was, because I realized the secretaries would be the communication link between me, Larry and the girls. Typically, it takes 5-10 minutes to get to Leawood, but that is down Pierce, now closed with emergency traffic. I don’t know how long it took to make the big loop and get to the elementary. Bowles was stop and go two miles from the turnoff into Leawood. Then the nearest parking was half a mile away. I arrived after 1:30pm. Liz met me out front. I asked if she had seen Kathy. She shook her head ‘no.’ The cell phone I had with me was not reliable. There was so much telephone traffic that you just couldn’t get a line out. In exasperation, I let Liz run it. Eventually, she talked to Larry, and he informed her he was going over to the Library, where they were also releasing kids. There was nothing that could be done. Clearly, chaos reigned. Aside from checking on the lists, and comforting and being comforted by friends, there was nothing to do but wait. For the time being, no news was good news. I continued to have the gnawing feeling. I was grateful for the hour we had spent together the evening before, reading scriptures, and just chatting among the four of us. If that was to be the last memory I had of Kathy, I was glad to know I had put down the stack of papers I had to grade, and spent that evening hour enjoying my family. The media vultures were everywhere. As I initially approached the school, I passed my friend, Fran Allison, walking away and comforting her daughter, and saw the photograph being taken that wound up on the cover of People Magazine. Giving up on the cellphone, I went inside the school and found a phone in a classroom about 3:20pm. Finally, my call went through, and I contacted my school, and Pat informed me Kathy was released, and was at the library, and that my teammate was on her way to pick her up. I knew that Larry was there too, so I found Liz, gave a couple of my mom friends a squeeze and the good news, and drove home. My next thought was of Mike. I called my sister Karla in Salt Lake, to let her know the girls were safe, and to ask her to dig up the missionary department phone number. Telephone traffic was so awful, I was not sure I could get another long distance call through and asked her to call the missionary department also. She said first, she had to call our brothers and sisters to let them know Liz and Kathy were safe. All were frantic. I did make contact with the missionary department. They joined in our relief that the girls were safe, and advised me, that as the Czech Republic mission home offices at the hour were closed, that I should fax a letter to them that evening, and then call them at midnight, our time, and request that office be in touch with Mike. We did so. Later on, when Larry and I drove over to our local Kinko’s to send the fax, they refused payment, recognizing our need to be in touch with our son. This was the first of many generous considerations we have witnessed in the wake of the assault. In the aftermath, we planned to attend four funeral services. It was just too sad to go to that many. We attended Dave Sanders’ funeral. Kathy, from the moment she came through the door, sometime after 4:15pm, credited him with saving her life. We attended Matt Kechter’s services, the boy who lived across the street. He was in the library, when the murderer’s shot him down. Nearly a month has gone by. Both girls are attending classes housed at the neighboring high school. Kathy came home from the first day, realizing in a most profound way, that by Harris’ and Klebold’s design, she should have been dead. It is chilling to see your youngest confront herself as being in true, mortal danger. Liz learned that there were bullets being fired at her, and her companions as they fled the school and its grounds on that Tuesday morning. The media is something else. The girls were offered interviews on all the major networks, including a live deal on Good Morning America. We declined the on-camera stuff, but they felt okay about doing several print interviews, including Time Magazine. A day or two into this circus, I drove by Clement Park and counted over 50 satellite trucks. All that is left of them now is the ruts in the grass they made to ‘be on sight.’ Unfortunately for Oklahoma, but fortunately for us, the tornados drew virtually all of them away. Liz (#40 on Sanders’ team) is paying attention to her classmates on the tube as to how to be effective when interviewed, as we anticipate more limelight next year during the basketball season. To all of you who have ‘been there, done that,’ it is fascinating to compare what you said, and meant, with what gets printed. At this point, my take on the assault at Columbine is that it was a devilish attack by persons bonded by secret combinations. The people who died are innocents, whose blood will stand as a witness against Harris, Klebold and any others who plotted their deaths. The more stories you hear, the more you realize that both of these young men had sold out to the evil one. If ever there were a clarion call that we are living in the last days, then it is Columbine High School on April 20, 1999. One theory is that if Columbine would have blown up (which nearly was the case. Kathy, from her interview with the sheriff’s department, understands that the big bomb in the cafeteria simply had two of the wires crossed, and that is why it didn’t fire. Had it done so, at least the whole end of the school, with the choir room and science classrooms would have been destroyed. She claims an angel came down and fussed with what Klebold and Harris had done right). I do know that anybody who has a kid who experienced the terror on April 20 at Columbine, will tell you that prayer and angels got their child through the ordeal. As bad as it was, it could have / should have been so much worse. The amount of ammunition those boys fired should have hit dozens of more people. Kids running for their lives through the halls report flashes of bullets ricocheting off lockers as they fled. The killers knew where kids were hiding. The cops were expecting much worse. Hospitals were alerted; for example Larry’s nephew Rick, who works at Denver General, says they used five operating suites to treat the patients they received, but they had cleared seven additional ones, literally discharging patients on medications that really should be monitored very closely by hospital staff, to make room for the anticipated victims. The boy from our church that was shot on the hill outside the school, was hit first in one leg, and got up to run, then was struck again in the jaw and then the other leg. He managed to run over a hundred yards to get behind a shed out of the line of fire, describing to Kathy that he was aware that his aunt, who died last year, was helping him run. He lost 50% of his blood before he received treatment. The night of Tuesday, April 20, he had 6 hours of surgery on at least one of his legs. The left one suffered damage to the circulatory system, while the right leg was somewhat shattered at the knee. On Wednesday, he endured 9 hours of surgery for the wound caused by a bullet entering his cheek, destroying his jaw and coming out his neck. His mother said, that had the bullet been just a centimeter or two in another direction, he would have died. Last night was the postponed youth dinner dance. He was there, walking without his cane. All of the children who were transported survived; however some of them face years of additional surgeries and rehabilitation. Dave Sanders, we later learned, received two fatal wounds. Perhaps if he had been in surgery within 10 minutes of being shot, he could have survived. However, that was not to be. He died in the arms of a police officer, after the kids had all been forced to leave the science room. September 24, 1999 – I was talking with Liz the other day stating I would be glad when the basketball season was over. She said with gusto, “no!” that she loves basketball. I said the attention the media would be paying was my concern. Then I went to counsel her about thinking what she might say in the interviews to come. She said, “Mom, I’m always thinking about what I want to say to the media.” It is almost unimaginable that a 17-year-old girl has been thrust in the position that being savvy with the media sharks is the order of the day. Both girls are doing fine. Liz has AP English, AP History, Studio for advanced art students, college physics and weights. Kathy is also fine. She is lead baritone player for the school’s marching band. Aside from the intensive brief therapy she had last summer, probably the best thing we did was get a new kitten in July. We named her Loki, for the Norse god of mischief. She is the runt of the litter and a couple of weeks ago I had her declawed, that’s preserving my furniture, curtains, screens, pants, arms etc. She is just a hoot to watch, a very intelligent cat and a very good athlete. Both girls just love her. All of us enjoy watching her play. December 14, 1999 – Over the weekend there was a big hullabaloo about Columbine. The Jeffco Sheriff’s office believed Time Magazine when they claimed they wanted some background on the sheriff’s investigation on the nature of the two murderers. So the Jeffco Sheriff’s office allowed them to view some of the five videotapes Dylan Klebold and Eric Harris had made between March 15 and April 20, having a gentleman‘s agreement that no reference would be made to the tapes. And guess what, all the tapes wound up in a special Time Magazine edition, released yesterday. Lesson one: Never trust the media. Upon learning of the eminent release, the sheriff’s office gave it all to the media outlets here in town and so what I know is what was reported in the newspaper. Columbine has really been smeared as a bad place full of mean kids who picked on Dylan and Eric and drove them to a desperate task. What comes through, is these were very troubled kids who had been sorting their feelings since they were in preschool and who egged each other on. They dissed minorities, women, Jews, everybody who wasn’t them. To me it became really clear that we were unfortunate enough to have lived where these two boys found each other and they took the extremely cheap shot at killing those innocent children last April 20. I don’t know if you were aware of it or not, but Kitty was in the cafeteria when the bombs (yes two big gas grill propane tanks, a prime and a back up) which, had either exploded, would have created a fireball sucking out all of the oxygen and killing every living thing in the cafeteria, were set to go off, being within a dozen feet of them. It is getting old being the poster child of the consequences of evil entering our nation’s classrooms. Lesson two: Angels do intervene. Those twisted boys had had lots of experience creating bombs. The sheriff’s investigators, when they interviewed Kathy, said the bombs were a fraction of a twist of a nozzle away from firing. I believe as Kathy said aloud, the murders took 12 jurors and a judge with them to the other side and stopped the killing. This is the second major stir-up over this we’ve been through since last April. I hope there are no more hullabaloo’s coming, but we are prepared to do whatever we need to deal with the trauma and continue on with our lives. December 22, 1999 – For me the biggest frustration of last week was the delay and taking finals. Columbine was closed after a student received a threat over the Internet. She turned it over to the media and the police, and the authority shut down school Thursday, day two of finals, and Friday the make up day. Kathy was scheduled to take her English, biology and algebra final on Thursday. She was on the cusp between two grades in math, as Liz was in physics, a Thursday final for her. Liz really only applied to one school, BYU and of course that is a highly competitive situation. I forecast that finals would be delayed until the second week of January and then it would take time to compute, and send out the first semester grades, making information about her being accepted or not at the Y delayed until well into February. On Monday came a godsend. Liz is formally accepted to be part of a freshman class in August 2000 at the Y. She is a great kid, with many talents who is earned this opportunity. I have grieved a great deal over the events and fallout at Columbine since April 20, but Monday was the first time I really, truly sobbed and they were tears of relief from tension and a thankfulness I assure you. I just asked Kathy, who is consulting with me as I write, what else I should say. She said “Put we are all recovering from the 20th”. I believe that is true. We continue to be amazed at the attention the sadness has generated and frankly are very tired of selling magazines, newspapers, and newscasts. A local columnist editorialized that our community should have particular gratitude this holiday season that we have so many of our combined students here to love and enjoy. The media refuses to acknowledge it, but I have spoken to no parent of a Columbine student who doesn’t attest to divine intervention and angelic protection on that awful day last spring. April 22, 2000 – It was fun to have family around. The whole thing at Columbine is almost oppressive. It takes disappearing from it for a while to have a sense of relief. My family came to support us on the 1-year anniversary with virtually no notice, just to support me and our kids. That is very reassuring. Thank goodness for families. 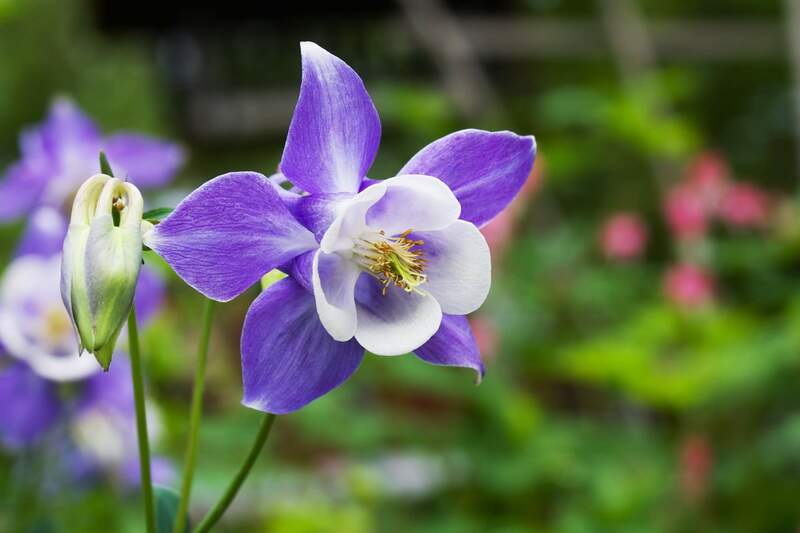 Eileen worked through much of her Columbine grief in the garden. Turning soil, dropping pavers and moving dirt, she built beautiful, red sandstone rose gardens in the front and back yard of the family home on Pierce Way.She was also the editor of the book, ‘Surviving Columbine: How Faith Helps us Heal when Tragedy Strikes’ as well as a champion of Kathy’s project Resilient Hope, a resource for those affected by trauma. Eileen passed away in late 2018 from biliary cancer.